Occidental at Xcaret Destination is all about action, fun and family. 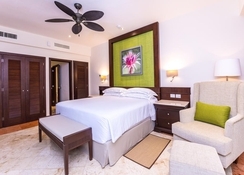 Located in the heart of Mexico’s Riviera Maya, this property is a one-stop holiday destination for fantastic vacations. 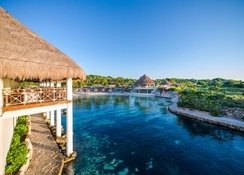 The hotel is strategically placed next to Xcaret eco-archaeological park, giving visitors plenty of exciting things to see and do around the property. The leisurely rooms and suites are equipped with a private balcony or terrace, air conditioning, TV and mini bar. There are many restaurants and bars waiting to be wined and dined in at the hotel, serving up the best of local and International cuisines. Occidental at Xcaret Destination also treats you with its gorgeous swimming pools, watersports facilities such as diving, snorkelling and exploring underwater gardens, plus loads of sports and leisure activities - including 18-hole mini golf course, tennis courts, a relaxing spa and fitness centre. There’s an array of evening entertainment options such as theatre and nightclub, as well as entertainment choices for the little ones. 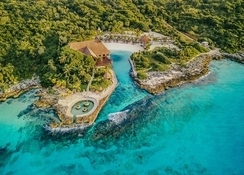 At a distance of 21km from the Cozumel International Airport, the Occidental at Xcaret Destination is strategically located near a Mayan village dotted with ancient caves and underwater gardens. 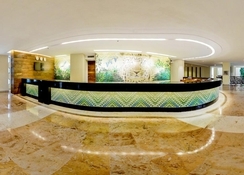 It is a few steps away from Xcaret eco-archaeological park. The Playa del Carmen beach is 3.2km from the hotel, while the Cancun International Airport is 62km away. 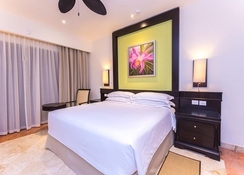 The Occidental at Xcaret Destination's comfortable rooms are surrounded by pretty gardens. 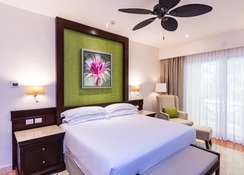 Guests can choose from Deluxe, Deluxe Concierge, Deluxe Romance, Deluxe Plus, Junior Suite, Royal Level Luxury, Romance Suite – Royal Level, Royal Level Suite, Royal Level Master Suite and Two Connecting Rooms. All rooms are well equipped with a fully furnished balcony, air conditioning, flat screen TV, Wi-Fi, mini-bar, in-room safe, coffee/tea maker, in-room service and fully equipped bathrooms with showers. There are eight restaurants and three snack bars at the Occidental at Xcaret Destination that serve up a wide range of cuisines. Le Buffet is the main on-site restaurant that serves breakfast, lunch and dinner. The Beach Club also serves International buffet throughout the day. The a la carte choices include Los Olivos (Italian), Sonora Grill (steakhouse and grill), La Hacienda (Mexican), D’Oriental (Asian) and El Pescador (fish dishes). There are several bars situated throughout the property to serve your drinking needs. 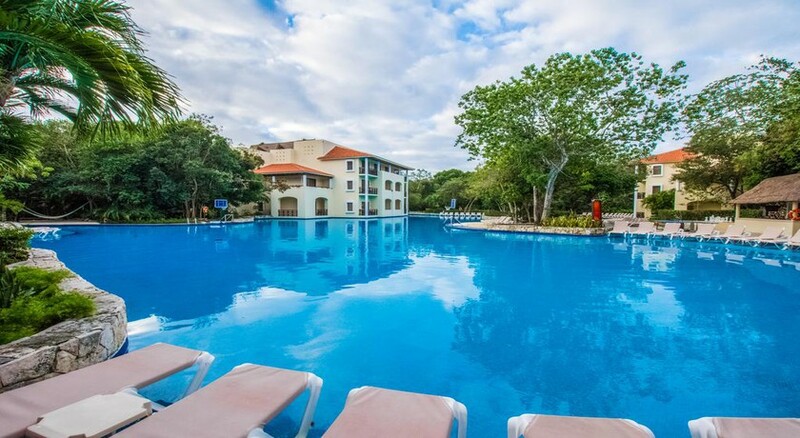 The Occidental at Xcaret Destination has got five fresh-water swimming pools, an adults’ saltwater pool and a dedicated children’s pool. The hotel also boasts a well-equipped fitness centre and a spa that offers a wide range of beauty and wellness treatment. You also get to indulge in various water sports like scuba diving and deep-sea fishing. There are two tennis courts, an 18-hole mini golf course and free access to Xcaret Theme park. The property is close to Xcaret eco-archaeological park, which calls for an exciting day trip. Adults can enjoy games and activities like shuffleboard, archery, ping pong and aerobics, while the little ones can let off steam at the kids’ club. There are also evening entertainment options such as theatre and nightclub.